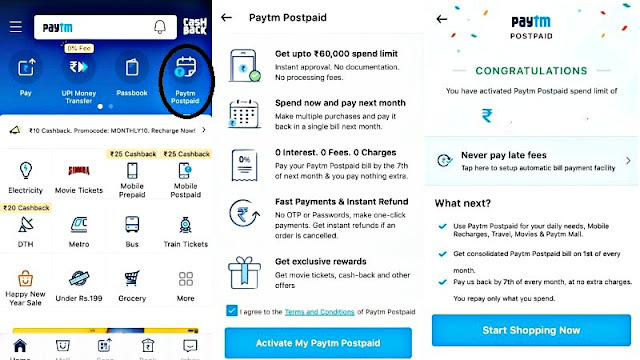 Paytm Launched Paytm Postpaid: Learn All About It ... - mobilereview.online - The Ultimate resource for mobile phones reviews, specification, information. Paytm stepped into the Indian market as a mobile wallet. As time passed, different services were added to the Paytm. Paytm, now considered the most popular Mobile wallet in India, has introduced the Paytm Postpaid service. Paytm Postpaid, Paytm Postpaid is a kind of credit card for the user. 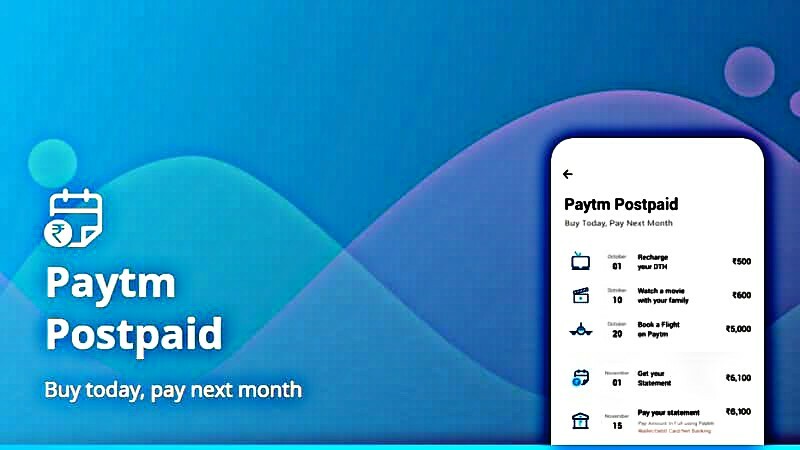 You can pay for any service today using Paytm Postpaid. And you can pay that money next month. For the moment, beta testing of Paytm Postpaid service is going on. This service has not yet been made available for all mobile users. But if you want you can approve your Paytm Postpaid service to start. You can use the 'Paytm Postpaid' service for Mobile-DTH Recharge, Cinema Ticket Booking and Paytm Shopping. Whether your wallet does not have any money, this service will be paid with the help of Paytm. You will not need to use credit card or net banking even during this period. Please tell that there will be a limit to the cost of every user under the postmodel postpaid. Customers will be able to pay only the postpaid payment within the prescribed limit. After this you will have to pay that amount at the end of the month. If you wish, you can activate Paytm Postpaid by visiting the Profile section in the Paytm app. After this, you can choose this payment option for any purchase on Paytm. What is Paytm Postpaid and how will it be activated? Paytm Postpaid is a way to get credit card on mobile phone credit service. Suppose this is also the amount in your wallet that you have to pay later. You can use the Paytm Postpaid balance to recharge mobile and DTH, buy cinema tickets, or buy anything at Paytm. Company has informed that Paytm Postpaid will be activated for Scan and Pay shortly. This service is currently being beta testing. This means that this service is not available to every user of the mobile user. Selected users are able to use it. But every user can express their interest in this service. To activate it, go to Paytm Profile section. Activate this service by clicking on Paytm postpaid and following further instructions. Patyam has given information on its website that ICICI Bank is providing the services of credit. Paytm is just working on the platform. Paytm Postpaid has just been made available to selected customers. It is dependent on having a savings account in ICICI Bank. What is the limit or balance of Paytm Postpaid? As soon as you activate Paytm Postpad. On the next page you are told about postpaid balance. Paytm Postpaid Limit is dependent on the way your Paytm is used. Users can then use fixed amount as a Paytm postpaid. When will the bill pay postpaid? It is reported that every month the bill of all transactions made through Paytm Postpaid will come on the first date of the next month. Postpaid bills must be paid by 7th of that month. In the event of no such situation, penalty will be taken from the Paytm. In order to postpaid bill payment, the Paytm user will be sent a reminder on the first, the 10th and the 15th of the month. If the payment does not end till 7th, then the postpaid account will be deactivated. Customers will pay postpaid bills as soon as they are. The account will be activated again. But next month's Bill Late Fine will be taken.